A newly-discovered Google patent for "pay-per-gaze" ads would use eye tracking to determine what the user is looking at. Google's patent says it would then be able to charge companies when users look at advertisements, including online banner ads and offline billboards. These pay-per-gaze ads could go even further, the patent says, by determining how long users have looked directly on an ad, and even measure emotional response. "For example, if the advertiser desires to generate a shocking advertisement to get noticed or a thought provoking advertisement, then the inferred emotional state information and/or the gazing duration may be valuable metrics to determine the success of the campaign with real-world consumers," the patent says. Google's patent also mentions the ability to provide automatic, augmented reality search results based on eye-tracking. Dubbed "latent pre-searching," the system would begin its search queries for objects in the user's peripheral vision, so they're ready to display by the time they come into focus. Eye tracking is not a feature that Google Glass currently offers, but the code in Glass' companion app has hinted at support for "eye gestures" such as winks. Another Google patent has called for even more precise eye tracking, including a way to unlock Glass by tracing a lock pattern with your eyes. Because these are just patents, there's no guarantee Google will implement them in Glass or other products. And even if Google did offer eye tracking, it would have to convince people that the benefits outweigh the creepiness of letting the company see what you see. "Latent pre-searching" doesn't seem like enough of a hook. Technical hurdles come to mind as well. 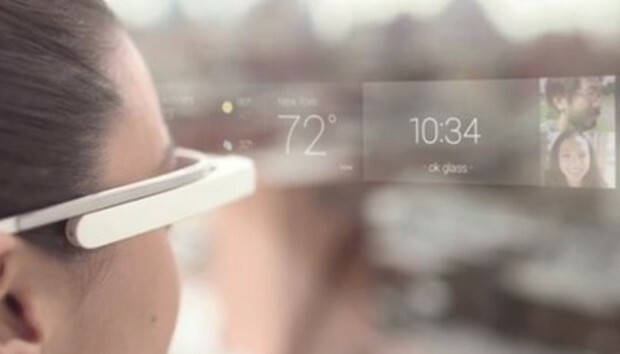 The current version of Google Glass already suffers from poor battery life, and the power it would take to constantly scan and interpret visual data would likely be immense. It doesn't seem practical without major breakthroughs in battery efficiency. Still, recent reports have claimed that the final version of Google Glass may not cost a lot, and the idea of an inexpensive product supplemented by ads definitely fits with Google's business model. Even if pay-per-gaze isn't coming soon, it seems like something Google will inevitably try to pull off.